When my sister came into my room and awakened me with the announcement that Niigaki was graduating from Morning Musume, I wasn't surprised. I was actually quite calm, and stated that I was expecting a graduation this year. However, by the time it truly sunk in a few minutes later, I was crying and knew that, despite knowing this would happen, I was deeply hurt and saddened that it was happening, because I honestly do love Niigaki Risa. Ever since my fandom of Morning Musume, I have known that I loved Koharu Kusumi, however in late 2009 I fell in love with a second member of the group, and experienced my very first girl crush: That was Niigaki Risa. The reason? I fell in love with a girl who was a great actress, and portrayed a boys role so well. So, I am actually very happy that Gaki-san is going over to acting rather than having a solo career (though it would be wonderful if she became a soloist! ), because it's where my crazy love for her started. As Prince Christopher, Niigaki enchanted me and made me fall in love with Morning Musume more. When Koharu left Morning Musume, Niigaki became my favourite member. Whilst I feel that my love for Morning Musume will still be in place after she leaves, I do know that, without Niigaki, a larger hole will be left to fill when she's gone. As the last remaining powerhouse member, who's going to take all of the deeper vocals? Reina certainly can't, not when she sounds like a bleeting sheep, and Sayumi, well, don't get me started. With the rest of the girls having cutesy, squawking, squeaking voice, all barring Zukki, nobody can even replace Risa unless it is Zukki herself, or maybe even Haruka. So, in all honesty, I worry about the sound of Morning Musume right now. Half the members can't sing, especially the front girls (other than Reina, but she bleets too much) and the ones who can sing are all pushed to the back, so I am really sad about that, and extremely worried and concerned for the group. With Niigaki gone, there will be a lot of her love which will be missed in Morning Musume. She's always been known for how much she loves the group and how much she treasures it, so to have her leave, I feel that the most caring member will leave a gigantic hole which, most likely, Fukumura Mizuki will fill in eventually. It's been a long time since Niigaki joined, and whilst I would have liked her to be a leader for a longer time as she is the most capable member for being a leader, I am fine with her graduation, though I am still extremely sad over it. She's deserved to be a leader since she became sub-leader, and has proven how well she leads everyone. Hopefully, Sayumi will try to as best a job as she can when she becomes the Leader. 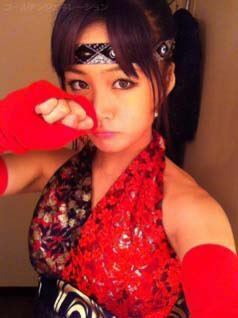 Niigaki Risa, or as I call her, Lord Gaki, is the member who really made me fall in love with Morning Musume fully. I adore this girl, and I honestly wish that I had put her in my top 10 Idols list for 2011. This girl is an amazing singer, an amazing actress and a wonderful performer. I doubt that, once she graduates, that will be the last of her. Gaki won't leave quietly. I hope that her graduation ceremony is a beautiful one, and I hope that on her last night, the crowds will be filled with green lights.